Since it was our honeymoon my hubby wanted to make it extra special and he had booked a luxurious pool villa for our stay for the last 2 days. After a quick breakfast and some snorkeling our bags were all packed and we were ready to move to our Pool Villa. 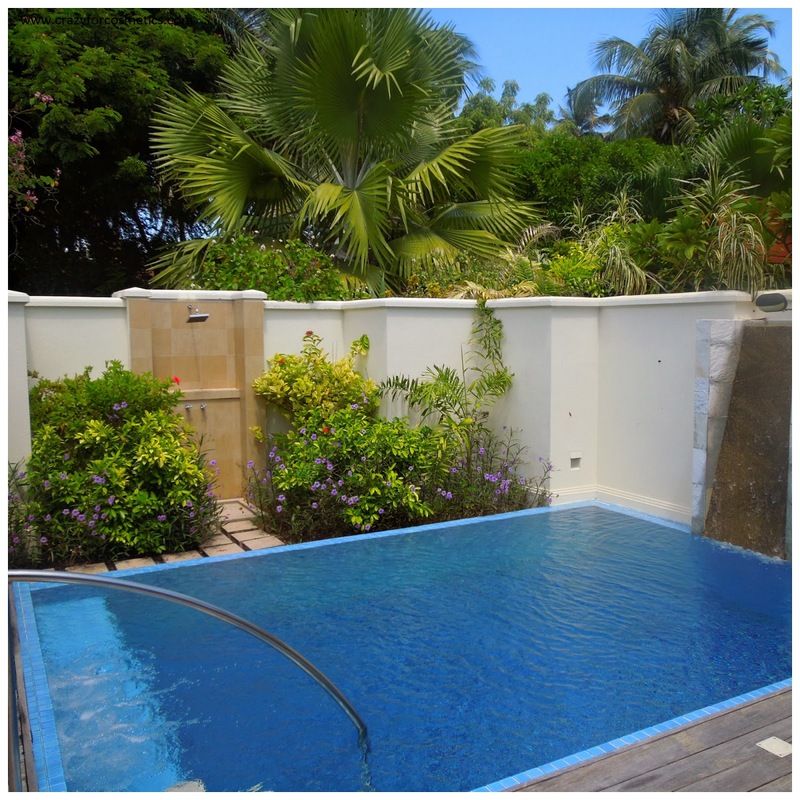 We were lucky to check into our Pool villa at 12 Noon as earlier residents had checked out early. Hubby and me had seen a lot of photos of the room in the Kurumba website but we still were not prepared for the difference in class and luxury as we first walked in and this is by far the most luxurious room (and the largest room) that we have stayed in. It really was an experience to stay in a room which was bigger than the apartments back home with its own swimming pool and beautiful furnishing. It was as if we had stepped back in time and had entered a beautiful palace which was going to be ours for 2 days. 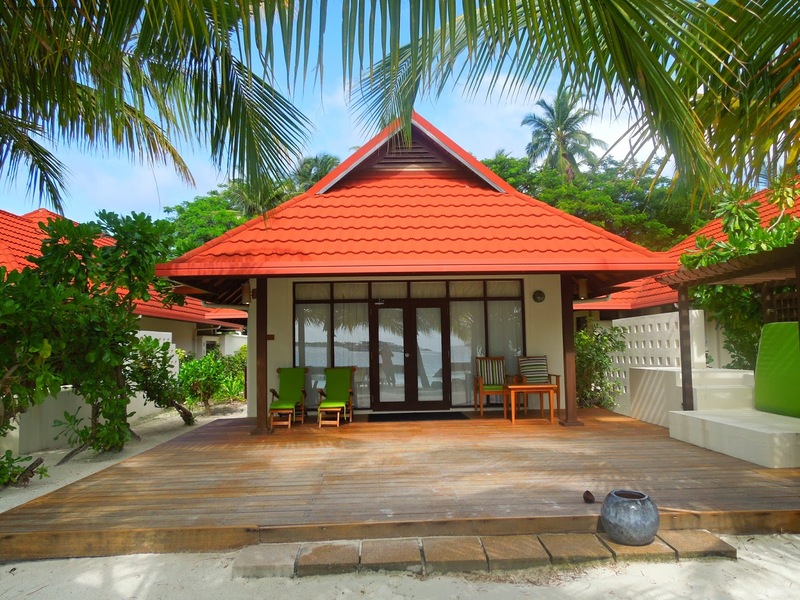 Kurumba Maldives Pool Villas are located closer to the reception , the restaurants, the swimming pool and right in the thick of things so that you can avoid the long walks. Private swimming pool with a day bed. Complimentary drinks and finger food and drinks at the Beach bar in the evenings. · Does not have the same unspoiled views of the Beach Bungalows on the opposite side of the island as the Male island is visible in the distance. 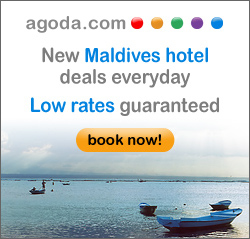 · Really hard on the budget as per night rates ( Aug 2012 ) were USD 700 inclusive of taxes. 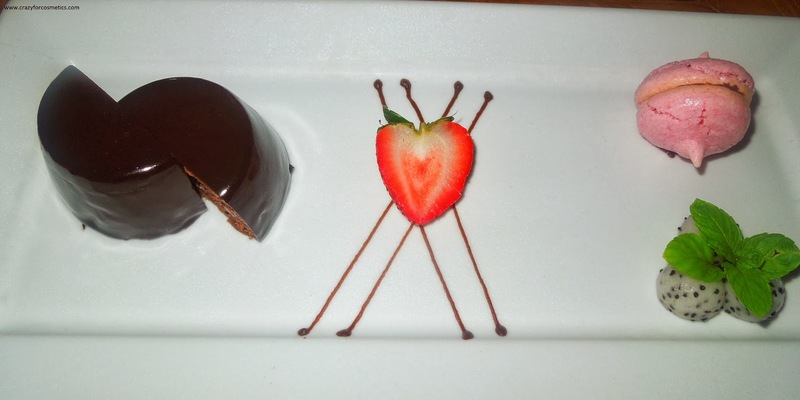 However we would strongly suggest to book the same for at least 1 night if it is a special occasion. This is one the activities that is highly in demand and gets booked early so do book in advance. The cruise party starts around 4 in the evening and they take you to the open sea to spot some wild dolphins and while returning you can enjoy views of the beautiful sunset from the boat. Amazing Crew who keep you entertained and do know the best places to spot the dolphins. 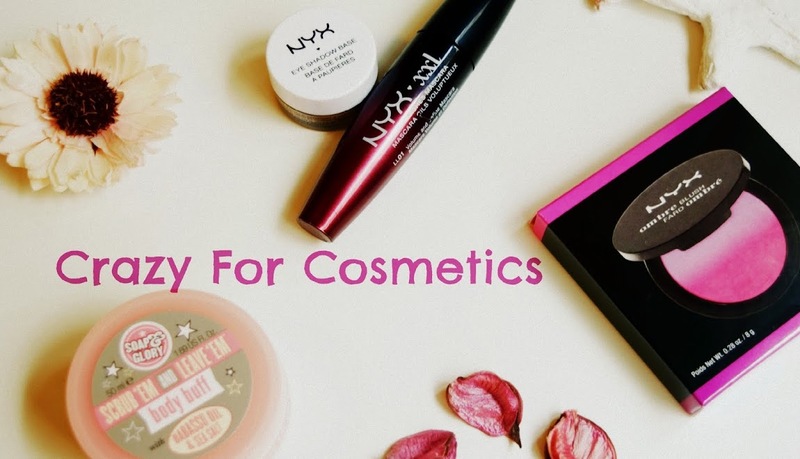 There is no guarantee that you would spot dolphins and considering the steep price people do get frustrated after a while. Luckily for us we were able to spot quite a few wild dolphins which did a lot of somersaults for us too and we did enjoy the sunset views on our way back. The beach bar is probably the most crowded place in the evenings we did spend a few evening in the beach bar sipping away on our cocktails amidst the gentle rhythm of the waves watching the vast expanse of the ocean. The beach bar is open from 10 in the morning till 1 in the night and has wide selection of alcoholic and non alcoholic beverages. A very good place to relax in the evenings. Tip : There is a complimentary cocktail party / get together on Tuesday evenings in the beach bar and is a good way to meet the staff and socialize with other guests. 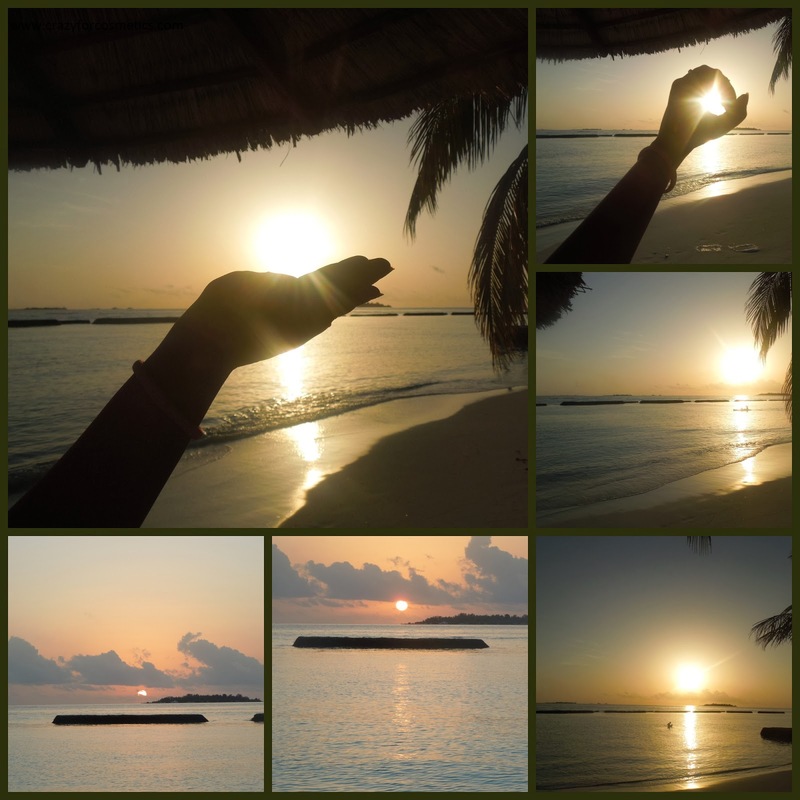 On our last evening in Kurumba Maldives we wanted to enjoy the sunset once again and we headed to the opposite side of the island to get clear views. Words cannot describe the beauty as we saw the sun slowly set into the ocean and it was quite a sight. 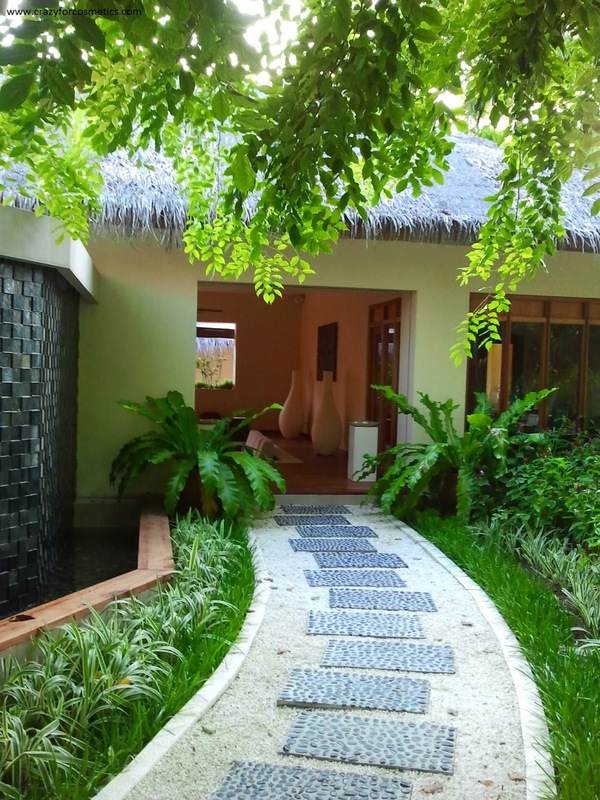 Kurumba Maldives has its own Veli spa that uses a combination of modern spa therapies along with the traditional Maldivian medicines. 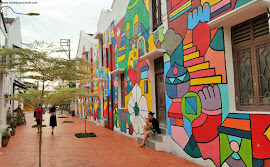 We heard quite good reviews about the same but cannot comment with firsthand experience , but it is something we probably regretted not trying out at least once during our stay. 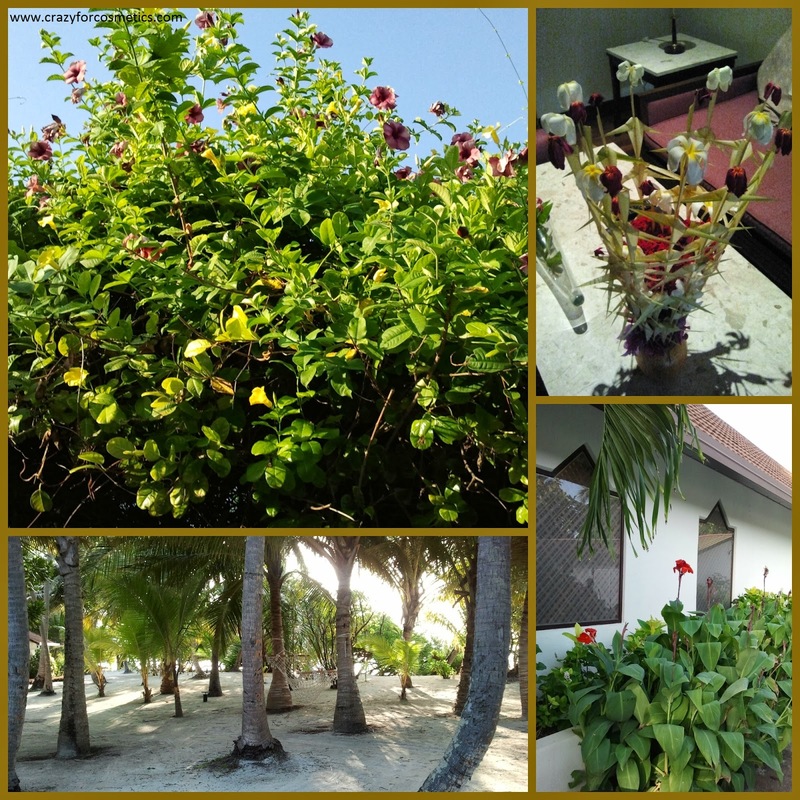 Kurumba Maladives is a tropical paradise with its white sandy beaches and clear blue waters, but to add to this it is a lush green tropical island with some beautiful flowers. During our walks around the island we were able to capture some snaps of the flowers in full bloom. 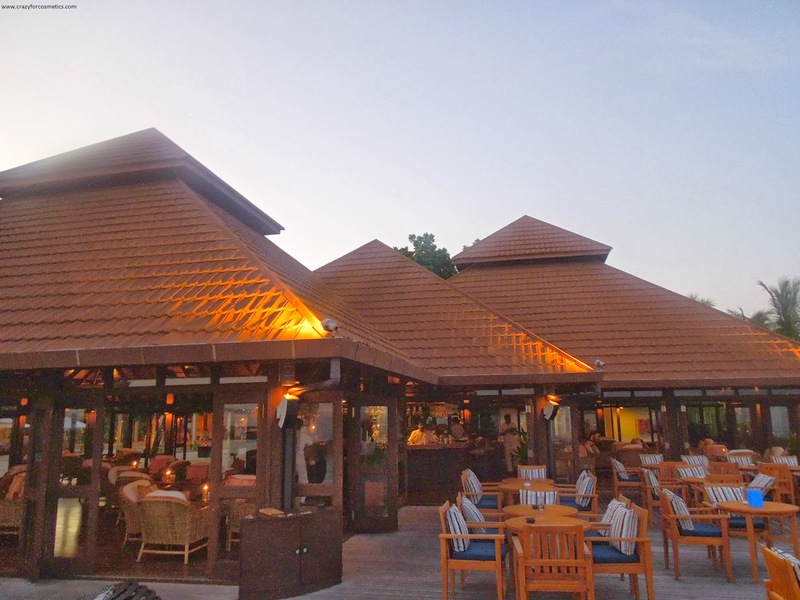 Having tried out Italian, Indian , Chinese over the past few days we wanted to tried out Kurumba Maldives signature Arabic restaurant – Al Qasr. 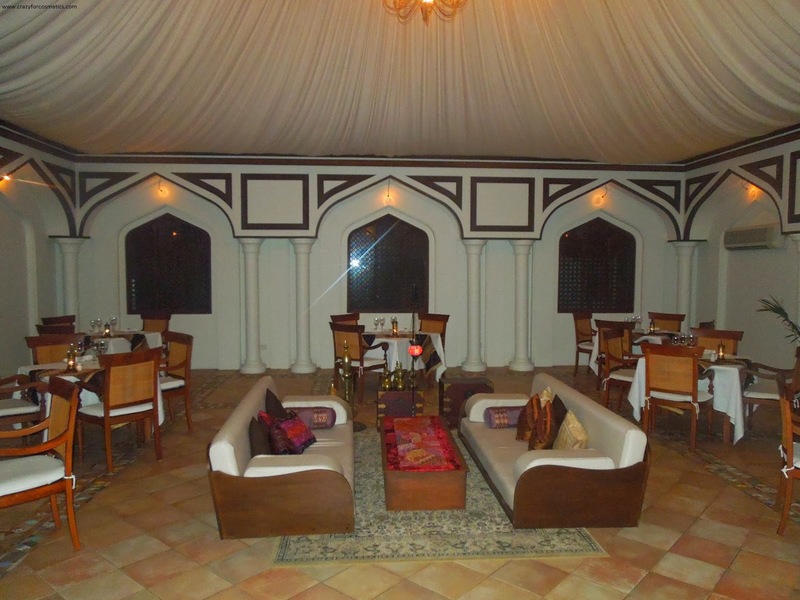 The restaurant is situated right next to the Kurumba Mahal and is styled and designed to give you authentic middle eastern feel. We have eaten in some good Arabic restaurants prior to it and some after it too ( during our visit to Dubai ) and we can say Al Qasr is there with the best. With good variety of both veg and non veg dishes, attentive service levels and tasty food we really enjoyed our experience at Al- Qasr. 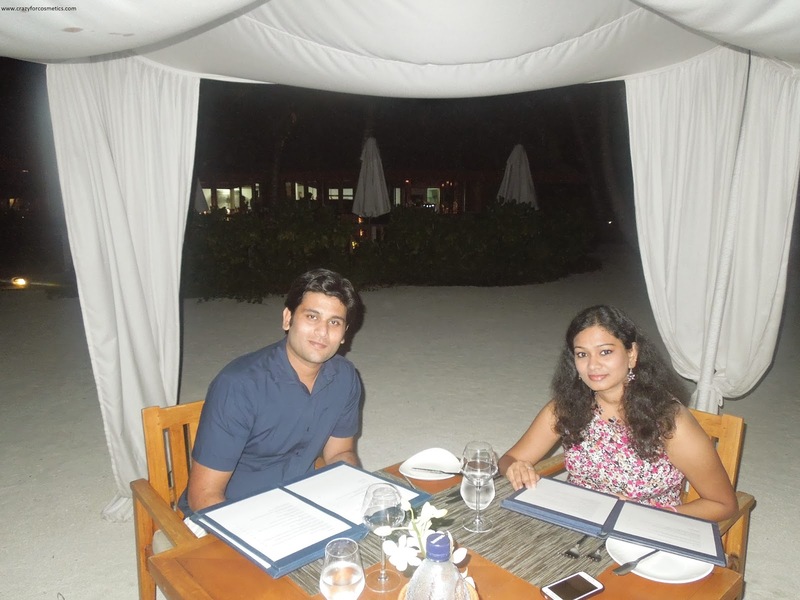 On our last night at Kurumba Maldives we were in for surprise as we got a call from the reception informing us that they had organized a special complimentary candle lit dinner as it was our honeymoon next to the Ocean Grill restaurant. We were escorted by Mr. Fernando to our table just feet away from the ocean and the set up was just so romantic. The food as usual was excellent and we really could not stop eating the wonderful desserts. Thanks to the Kurumba Maldives team for making our last night a real special one. And finally day 7 dawned on us and we took our customary walk around the island , albeit with a heavy heart, as we tried to soak in as much as we could over our last few hours. After a sumptuous breakfast it was time to say good bye to all our friends at Kurumba Maldives and a special thanks to Mr. Fernando, Mr. Hasan and Mr. Vinay. We took the luxury speed boat back to Male International Airport to head back home, vowing that we would return back to Maldives some day! !